A little boy Billy is afraid of werewolf. That is why he decided to destroy him. He constructed a plane in order to fly and find the awful creature! 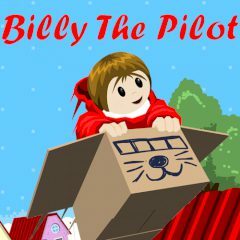 Help Billy to fly as high and as far as possible, do not forget to buy upgrades for his plane!